Choosing the right Orlando IT company and technology partner is a crucial part of the success, stability and security of your business. Net/Complete, headquartered in Orlando, provides the technical expertise in all levels of Complete IT services and support. We are here to ensure your business receives the maximum benefit from its technology, allowing your organization to have peace of mind. Complete Care with Net/Complete provides you with a peace of mind you simply cannot get anywhere else. We are IT experts with over two decades of experience in the industry, and we are here to help your business run smoothly by keeping up with the latest advancements. What is a Complete Network? Knowing What’s Right For You? When it comes to creating a well-oiled machine of a business, one of the most important aspects is communication, including information technology for your business continuity. We have been installing internet phone support for all of our clients, our Complete Phone package. This process not only improves the inter-office communication, but it streamlines your whole system and allows for a smoother process. Do away with the hardwired phone pods, and embrace the latest technology that has been helping businesses grow. We also have developed three plans to maintain your computers, peripherals and servers. Our plans include virus updates, spyware removal, service packs and maintaining server log files. We will also conduct routine monitoring of your back up system. When we come out on an installation, there are a couple key factors that go into every job. The first of which is what you’re actually wanting accomplished, and the second is how large your system (office) is. If you want internet phones installed in a two room building it will take significantly less time than if you’re getting an entire system in a multi-office building. It typically takes up on average 1-3 hours to identify and execute whatever problem you may have. Installation and problem resolution can take longer, but our technician will also resolve any past issues from the last maintenance service at no additional cost. The benefit of having the “Complete Care” program ensures that your system will be monitored and protected even when your not using it. Your Network System plays a vital role in your day to day business and we make sure that you’re getting the best out of your system at all times. The last thing you need is a faulty system when you’re trying to get through your work day. Not only do we monitor it for you, but we make sure that whenever a problem arises that we take care of it quickly and without notice. If you have internet phones or voice over IP, then you’ll need everything running smoothly, especially if you’re taking multiple calls in the course of a day. Our “Complete Care” program keeps you up to speed at all times. As with the time estimation, there are multiple factors that can determine the overall cost of your installation. Whether you decide to go with just an installation or an overall maintenance program will affect what your cost is, and then the other factors are the size of the network (total number of computers, servers, phones, and whatever else you need installed) and what packages you’re choosing. As we’re focused heavily on growing your business from the inside, we can’t stress enough the importance of facilities like internet phones. If you need VOIP phones, computer maintenance, network installation, server management, or any other service, we will factor that in to your unique quote. We also have our monthly maintenance plans that can be extended over 12, 24, or 36 months. Depending on the level that you choose, you could get even better discounts! At Net/Complete, it’s our goal to consistently grow your business from the inside. It’s hard to grow when the framework isn’t as strong as it could be, and we help to give you the structure that will allow for more and more systems to be added. No matter how many employees, no matter how many stations you need, our systems are easily modified to fit your increased needs. Perhaps you have internet phones and you’re looking to add three more phones to accommodate your new employees? Well we can have you up and running in no time at all, and we’ll modify your network to ensure that everything runs smoothly. You won’t see any problems at all, and you’ll be able to stop stressing about whether or not your systems are running well. Call us today to see how we can give you the IT treatment! Modern businesses need predictability to stay within budget. Choose proactive IT services and support, pay one flat fee for them every month and say goodbye to unexpected expenses and hello to better planning. Encourage greater collaboration between your employees, reduce IT budgets and eliminate expensive upgrades with our cloud services. 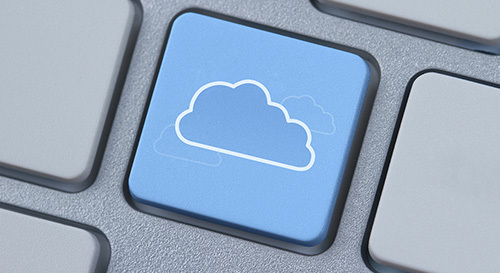 We will help you transition your technology to the cloud, letting you take advantage of this cutting edge solution. You might not need a full time IT department but when your technology runs into an unexpected issue, you’re wasting time and money if you don’t have someone reliable you can call to fix it there and then. Keep us on speed dial – we’re here to help. Prefer to speak face to face? We do too. Let’s get in touch for a one-on-one discussion about your IT. We are an Orthopedic clinic. We rely on our systems for every patient visit today as everything is Electronic. NetComplete has been with us 2 years now and I couldn’t be happier with their professionalism, responsiveness and knowledge. they truly know what it means to put the customer first. I’d recommend any practice to use them. Duane and Jason are awesome! I recently hired them for IT support for my business and they have been nothing but helpful, knowledgeable, professional and friendly. Will definitely recommend them.